Nothing. It’s a made-up thing, flaunted about as a headline as we can no longer expect just ordinary snow in January, or to be cold and wintry. All weather has to be CATASTROPHIC in capital letters. There is a process called rapid cyclogenesis, where a low pressure develops quickly and deepens. In certain circumstances, the central pressure inside an area of low pressure can fall at a very rapid rate. This process is known as explosive cyclogenesis. See we have the word explosive there. 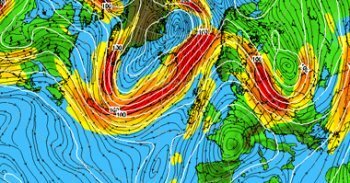 When this happens, the low pressure has, in recent times, been called a weather bomb as violent winds can develop around the system. 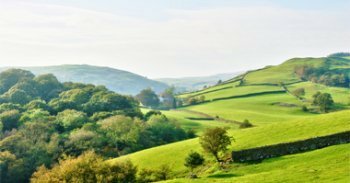 This process is linked to some of the most disruptive storms that have passed over the UK, like the Great Storm of 87 and episodes with Sting Jet winds. “a low pressure system whose central pressure falls 24 millibars in 24 hours in a process known as explosive cyclogenesis.” Met Office. 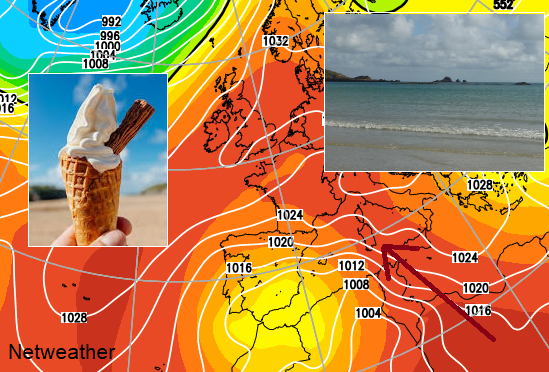 Today, the low pressure to the south of the UK has deepened rapidly and the French Met. 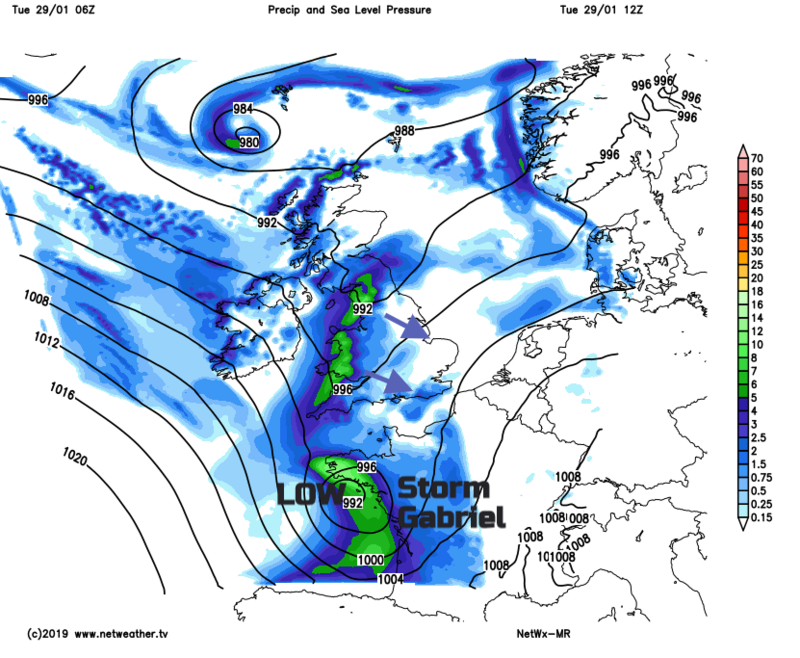 Service Meteo France have named it #StormGabriel as France is in for severe winter weather. 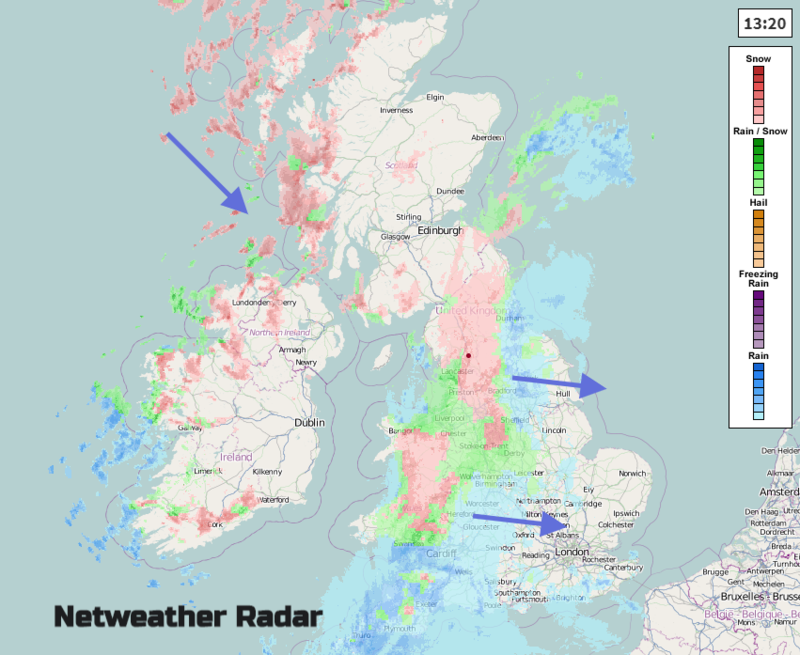 And the UK still could see a spell of snowfall across England later today and tonight as a band of rain and hill snow heads towards SE Britain later, influenced by this low to the south. Even if it does snow, in January, it doesn’t need a DOOMSDAY name and for forecasters, it is really frustrating. People will be waiting on #Snowmageddon2019 (yes real tag) with memories of last year’s snow event. If the snowfall isn’t significant, then the message for the next potential snowfalls can be lost, ignored or someone else will say, “you always get it wrong, I just look out of the window. 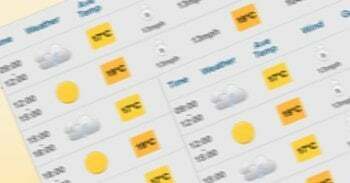 “ Okay, but with a front working its way across the UK, that may not be advisable if you leave for work in bright sunshine. 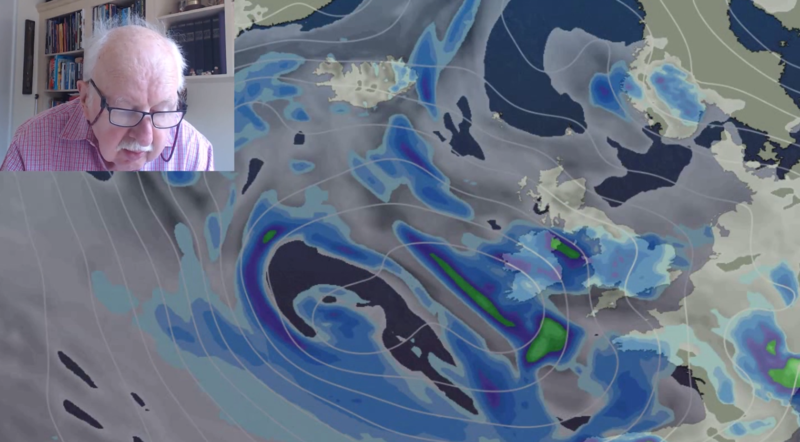 The setup for this week’s snow has been tricky and complicated resulting in low confidence. Last year’s Beast from the East scenario build steadily, lasted for days/weeks with little movement. 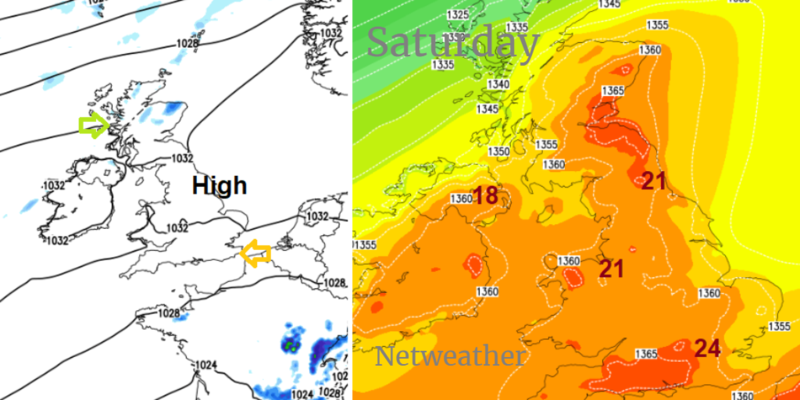 This week we have low pressures and fronts shifting about, rain coming up against cold air potentially turning to snow. Do read the further details, not just the headline. Prepare, just in case. 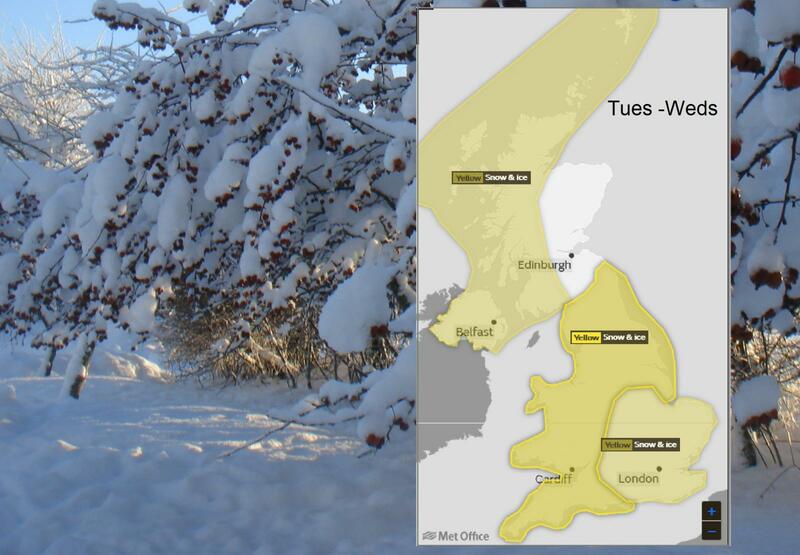 Warning areas from the Met Office are not limits of severe weather, not a definite area where it will snow or be icy. They show a combination of the amount of snow or heavy rain linked to likely impacts. Other geographical areas could see snowfall, but without much impact due to an isolated location, time of day, day of the week etc. Or you might be within a warning area and not get any snow. It’s a tool, and at the moment it is not drawn in fine detail, it’s a shape drawn by hand. Look at the overall story and use the matrix alongside the yellow/amber or red area. 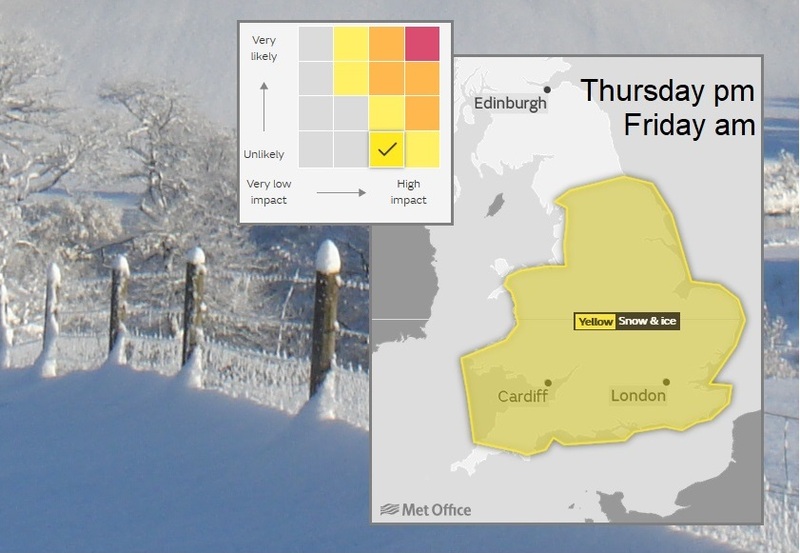 There is more snow expected this week, another warning out for Thursday into Friday. We’ll see how the SE fairs later today as the frontal band reaches London and the cold air digs in from the NW.